We have steadily grown into a reputed provider of high-quality and cost-effective software development services. Our ability to evolve continuously, doubled with our flexible approach towards the dynamic business world has helped us to grow in a short space of time. 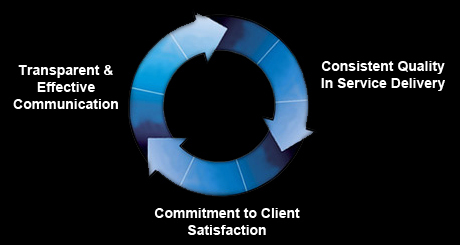 Today, 2MDM provides offshore as well as on-site software development services to its clients across the globe. With a strong team having vast experience in specialized software development cycles and bespoke technologies, we initiate and formulate internationally accepted processes and delivery models of unmatched quality. We are committed to provide robust, cost effective and long term services, enabling our customers to get high returns on their IT investments coupled with corporate governance designed for greater agility and market focus in this globally competitive environment. Quality is not a static benchmark but a dynamic norm that is progressively scaled up and aspired to be attained. We have built our business on “Quality Services in Time” model, thereby adding significant and sustainable advantages to our clients. Our approach is further strengthened with our personalized relationship managers responsible for building round the clock availability and also making sure that our clients get committed service levels at all grounds in terms of their engagement.